I’m here to talk to you about patches. Because they are getting more attention lately and I never thought I’d make my own patches, and look, I made some hella nice patches. I remember I was really into pins when I was a kid, I had that little pin collection, with one of my total favorites being a ghost which had tiny lightbulbs for eyes that would never stop blinking. Was kind of crazy. Then I thought about patches, I had really cool patches, I had a denim jacket with some patches in it, one of them was Tweety’s face. I really liked it. I’ve been really wanting to buy a denim jacket for quite a while now, but can’t find one that I like. 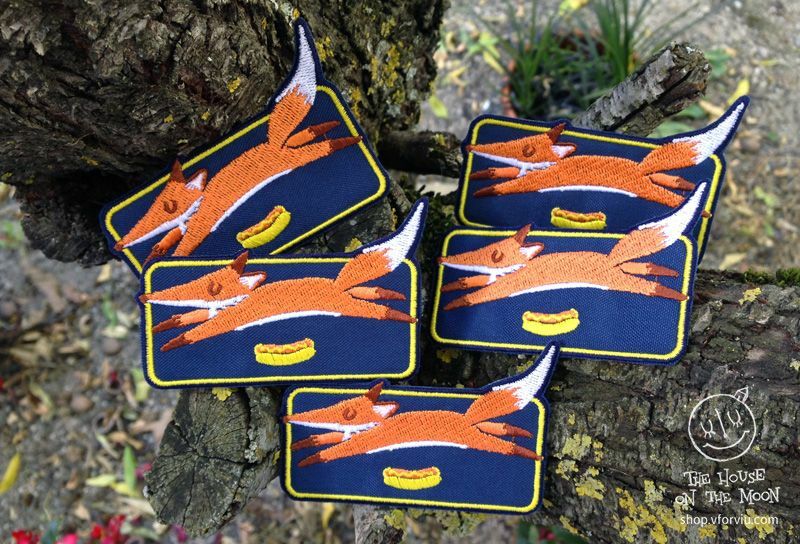 Instead, I’ve been occupying my time with the design of some patches for my actual jacket and bag. And I must say, they look lovely. Coming from a sketch in a corner of one of my sketchbook pages, Krilin Dragon Head is the apple of my eye. You know, I think he is the cutest kid with a dragon in his head you’ll ever find. And it reminds me of 8bit games and 80s/90s fun. NOSTALGIA. But the good type of nostalgia. If you like Krilin, you can find it here. And if you’re a game developer, seriously, let’s turn this into a Gameboy game. If you are from the design area, you may be familiar with pangrams, or at least with the sentence “The quick brown fox jumps over the lazy dog“. 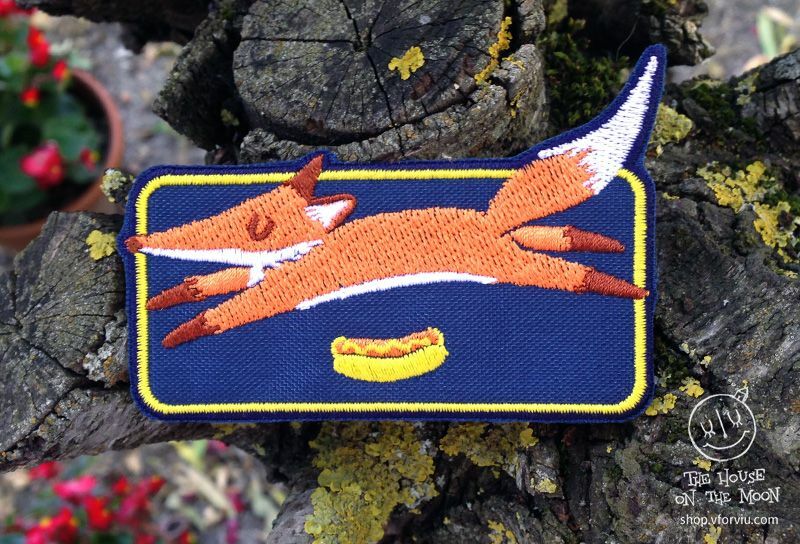 My patch is some silly joke making reference to that sentence, but instead of a dog, that quick brown fox is jumping over a lazy hot dog. Funny? No? Well, I like nonsense. 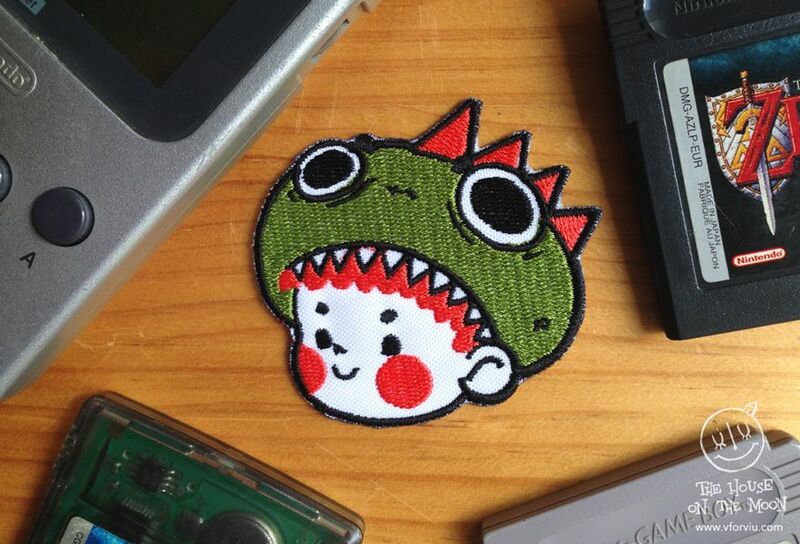 If you’d like people to ask you what the heck does this patch mean, today is your lucky day, you can find it here. 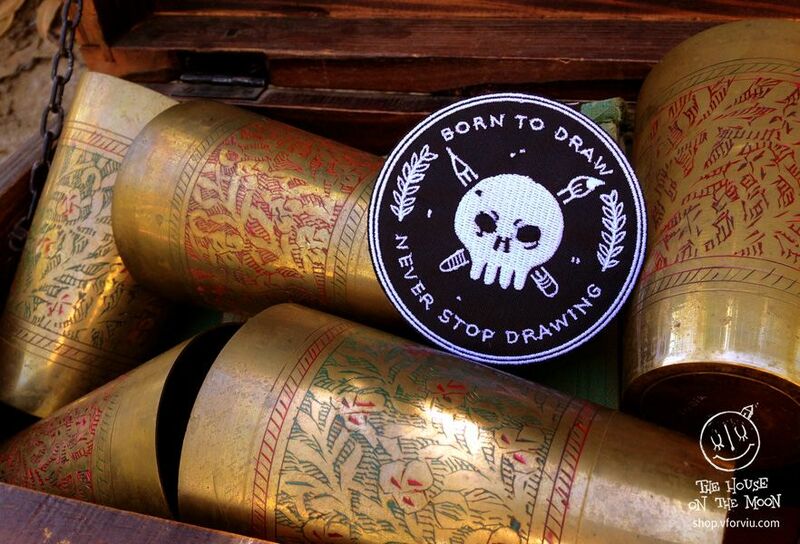 The Buccaneer of Illustration was born inspired by those cool patches on leather jackets, pirates and illustrators. 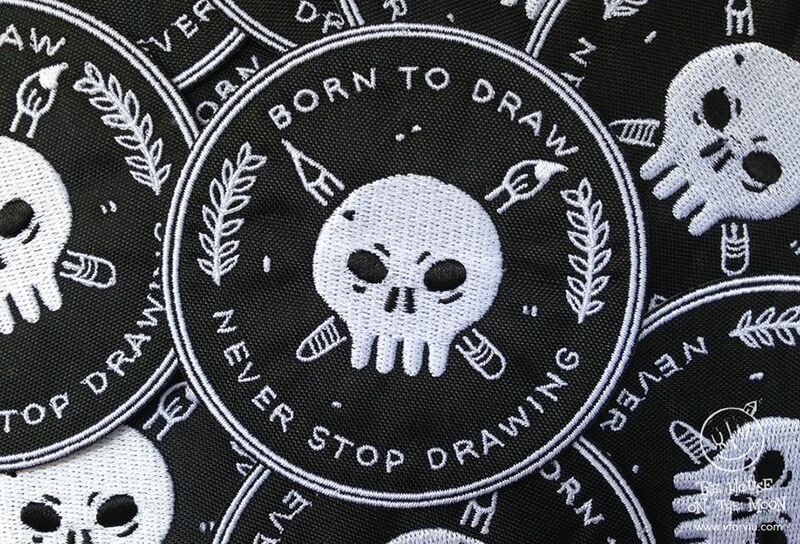 Because we illustrators were born to draw. And will never stop. You can find the treasure here. 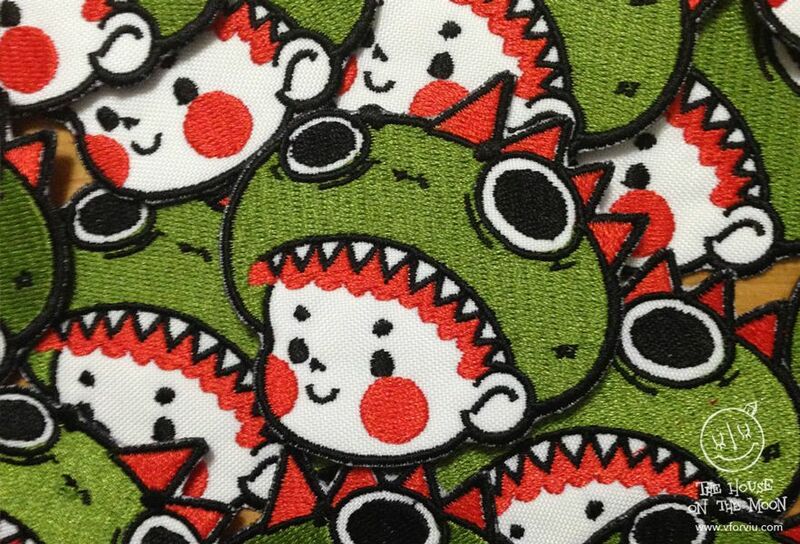 All these patches were designed and illustrated by me and embroidered localy, in Barcelona.